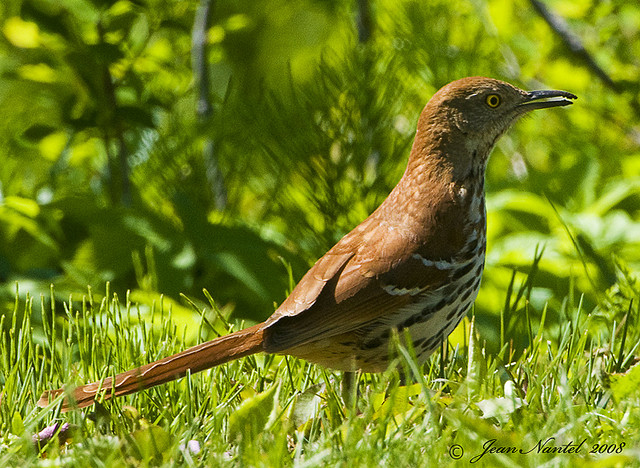 Brown thrasher; photo by Jean on Flickr (noncommercal use permitted with attribution / share alike). The brown thrasher is a large bird (almost a foot in length) with a long, curved bill and a very long tail. It has two prominent white wing bars, a rich brown color on its top side, and a creamy white breast heavily streaked with brown. 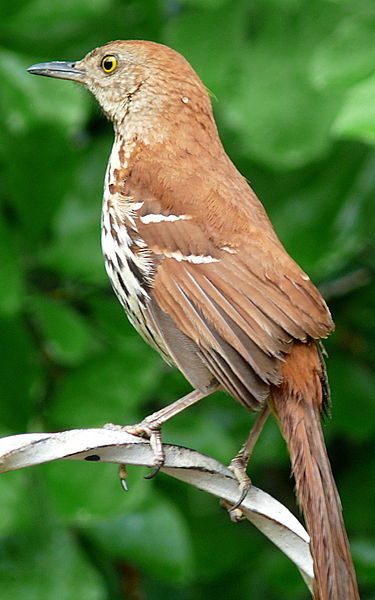 Brown thrasher (public domain photo by Ken Thomas on Wikipedia).